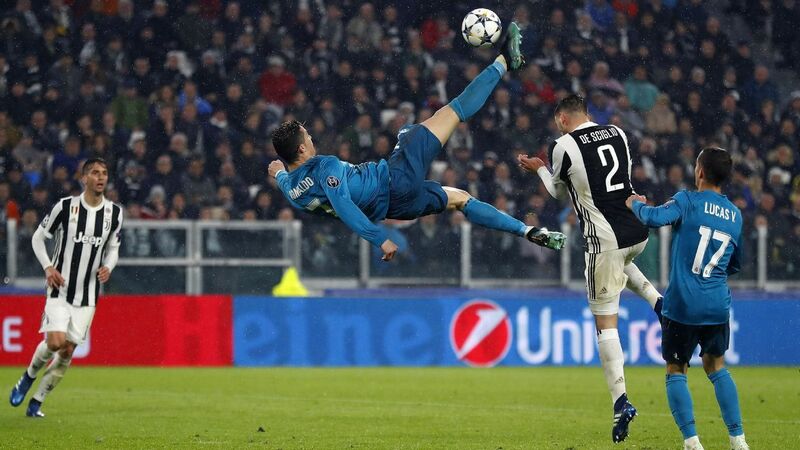 Cristiano Ronaldo's header against Juventus in the Champions League quarter-final was better than Gareth Bale in the final against Liverpool, UEFA technical observers said. The decision as to which of the two goals was better went to the UEFA technical observers, who scored their top 10 goals in the 2017/18 Champions League season. And they chose Ronaldo's efforts as # 1 and said it was "an extraordinary demonstration of technology and athleticism." Bales strike came second on the list of experts who described it as "the ultimate goal" 2-1 in the final, again a brilliant acrobatic degree. The UEFA committee consists of former West Ham coach Manchester United and Everton David Moyes, former Latvia national coach Cristian Chivu and Inter Milan Mixu Paatelainen, former Werder Bremen player and coach Thomas Schaaf, ex-Poland National managers Jerzy Engel and Dane Peter Rudbæk, the same group, chose Bale as the man of the match in the match on Saturday due to his pivotal impact from the bench. Both Ronaldo and Bale have a second goal in the list, with Bale in September Borussia Dortmund's group stage wins in 6th place and Ronaldo's long-distance runner takes 10th place in December. Juventus striker Gonzalo Higuain scored the third goal of the season in the first knockout round tie against Tottenham Another Atletico Madrid ruck came on in the competition Antoine Griezmann voted against Roma in the group stage as No. 4. Also on the list en Edin Dzeko's volley against Chelsea [No. 5] Shakhtar Donetsk's free-kick against Fred Roma [No. 7] Manchester City's Kevin De Bruyne vs. Shakhtar [No. 8] and Lorenzo Insigne's long-distance runner also against Shakhtar [No. 9].